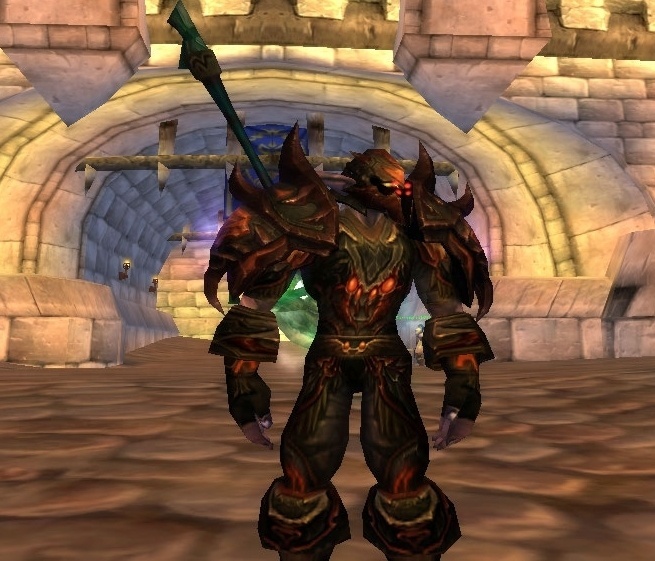 Not to be confused with the Cryptstalker Armor Set from tier 3, the more refined tier 7 set has a very similar looking helm but offered some of the best looking hunter shoulders and was available in green and a dark brown as the 10 and 25 man raid sets. This set shows clearly how minor and subtle changes, like the shoulder spikes, can make a set look much more appealing. This entry was posted on July 9, 2011 at 12:00 am and is filed under General, HFL, MMO, Raiding, Role Playing, World of Warcraft. You can follow any responses to this entry through the RSS 2.0 feed. You can leave a response, or trackback from your own site.